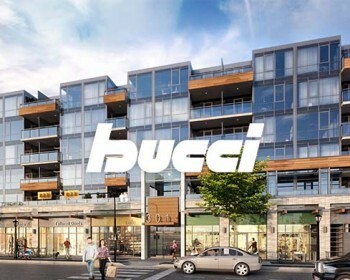 Background: The College is the official professional regulatory authority that regulates the practice of traditional Chinese medicine (TCM) and acupuncture in British Columbia. The College serves and protects the public interest by regulating and advancing safe, ethical and quality traditional Chinese medicine practice in British Columbia. Working with external agencies and partners provincially, nationally and internationally, the College actively works to continuously improve the high standards of care that government, clients and general public expect through ongoing review, assessment and analysis of trends and issues in the field of traditional Chinese medicine and acupuncture. 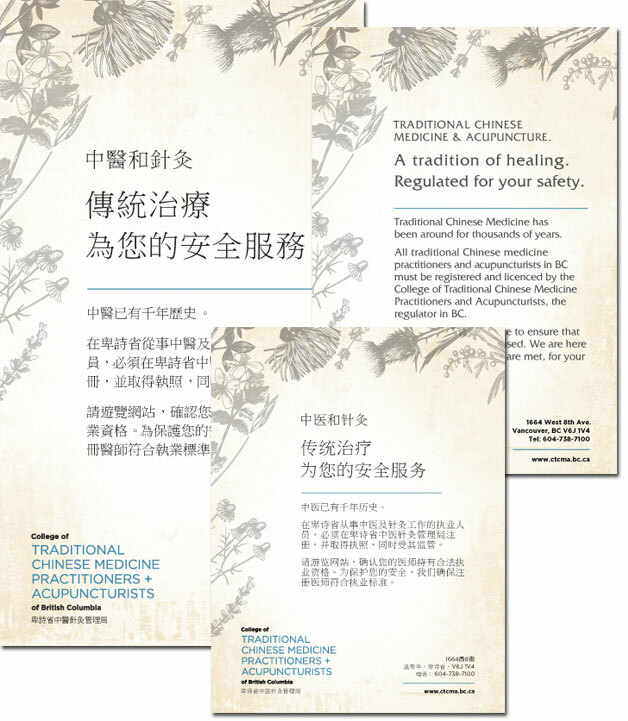 Our Work: As an increasing number of BC residents turn to traditional Chinese medicine to address ailments, communication between the regulatory body and BC patients (and non-patients) is critical. 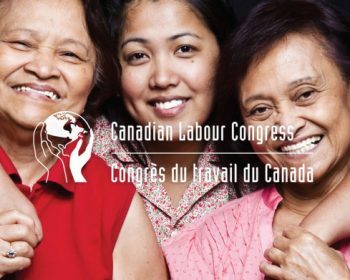 Working in both English and in Chinese, our Canadian multicultural marketing team assisted this client through media recommendations, media-buying, graphic services, and reporting.